Set off on a humor-filled adventure loaded with Viking valor. "Time Management games are my favorite games to play. 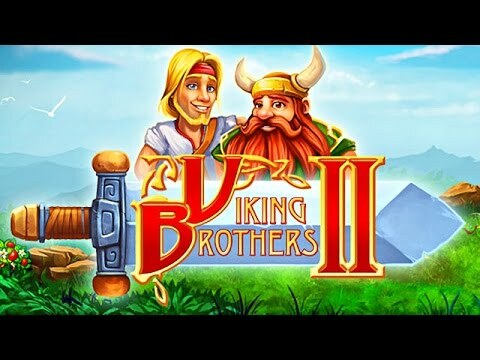 I played the first Viking Brothers, so I couldn't wait for the second to come out. It's a fast-paced, fun game I would highly recommend to everyone." Join Viking brothers Everand and Boromere as they set off on a humor-filled adventure to right wrongs, do good and keep their tankards filled with ale. This won't be easy, as a mysterious force is forging a path of destruction across Earth and Asgard. But Viking strength and valor have never failed and neither will the brothers. Featuring a cast of monsters and gods, plus colorful worlds that pop off the screen, Viking Brothers 2 is a thrilling quest you can't miss.